SandComp is a large manufacturing company consisting of 3000 employees. They have a head office with an Application ServerAn Application Server is the primary server program responsible for providing the PaperCut user interface, storing data, and providing services to users. PaperCut uses the Application Server to manage user and account information, manage printers, calculate print costs, provide a web browser interface to administrators and end users, and much more. and three distributed branches, each with a Site ServerSite Servers take over the role of a Primary Application Server in the event of network outages. Key roles taken over include authentication, copy and print tracking and Find-Me printing. Site Servers ensure continuous availability of printing resources to support key business functions over unreliable network links or during unplanned network disruptions.. All sites are connected via a fast Wide Area Network (WAN). Printers are hosted on local servers. For more information about how to configure this example using some of the common monitoring tools, see How to monitor PaperCut System Health. Sandcomp want an immediate email notification when the Application Server cannot connect to the database. The monitoring tool would trigger an email alert and display a visual representation of the alarm on the dashboard. The following example shows that the HTTP response status code for the endpointAn endpoint is a connection point where HTML files or active server pages are exposed and can be accessed by an external application. Endpoints provide information that can be consumed by an external monitoring tool. is 200 (OK) as it is green. Sandcomp would like to generate an email when any of the Site Servers is offline. This will allow them to resolve any issues immediately rather than waiting for the issue to be reported. 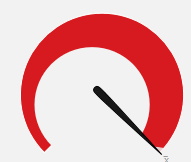 The following image is an example of an error indicator on a monitoring tool dashboard. This example indicates that there is an error (red) and a Site Server is offline. You can set up this notification in a couple of different ways, depending on the capabilities of your monitoring tool. If your monitoring tool cannot consume JSON text, you can use the HTTP response status code for the following URL. This endpoint indicates whether any Site Servers are offline, but does not indicate which Site Server. If your monitoring tool can consume JSON data, you can set up an alarm for each individual Site Server. This endpoint indicates whether a specific Site Server is offline. Use the sensor name to indicate the Site Server to which the sensor applies. Sandcomp would like to know if any printer has a problem for more than 10 minutes, such as being offline or out of paper . You do not want to trigger an immediate alarm as you want to allow time for someone to fix the problem, for example, refill the paper. The time period to wait before the alarm is triggered is set up in your monitoring tool. The following image is an example of an error indicator on a monitoring tool dashboard. This example indicates that there is an error (red), which means the printer is offline. This endpoint does not indicate which printers are offline. If you want to know which printer is offline, set up an alarm for every printer using the HTTP response status code for the following URLs. This endpoint indicates whether or not a specific printer (identified by the printer Id) is offline. Sometimes a printer might not be available for reasons other than the printer being offline or in error, for example, the card reader might be broken. At Sandcomp, the Administration Department printer is used constantly so if there is no print job in a 60 minute period, there is a high chance of there being a problem with the printer. Sandcomp would like to be notified if a printer has not had a print job for more than 60 minutes between 8am and 6pm. You need to specify the time period of 8am to 6pm in your monitoring tool. If the Administration Department printer is online, the monitoring tool dashboard would display a visual representation similar to the following. 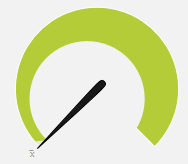 In the example below, the printer is online, so the gauge is green. Sandcomp is growing rapidly and would like to avoid the situation where new employees start, but cannot print as there are insufficient user licenses. They would like to receive an email notification when they have only 10 user licenses remaining. The image below shows what this alarm might look like on a monitoring tool dashboard. This example indicates that there are fewer than 10 user licenses remaining, so the alarm has been triggered (red). Plot a real time graph of the number of pages printed every 30 minutes. This allows Sandcomp to monitor spikes or dips in printing use, so that they can respond appropriately when these trends are out of the norm. The following graph shows an example of this attribute in a monitoring tool. In the example below, there was a peak at approximately 7.30pm, which is after business hours, so you might want to watch if this becomes a pattern.